The Dundee United and St Johnstone managers have both been issued with notices of complaint for misconduct. Dundee United manager Jackie McNamara, and his St Johnstone counterpart Tommy Wright, have both been issued with notices of complaint following the Tayside derby. St Johnstone emerged triumphant with a 1-0 victory, in an ill-tempered match that saw both managers locked in heated discussion. Referee Crawford Allan ordered both managers to the stands for their part in the disagreements. 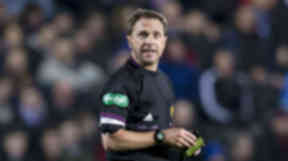 The SFA compliance officer has charged both parties with alleged breach of disciplinary rule 203, which relates to conduct on the touchlines. Rule 203 covers "misconduct in a match by leaving the technical area in the absence of special circumstances and by adopting a threatening and aggressive attitude towards an opposing member of team staff". Both men have until Friday, March 21 to respond to the notice of complain, with a provisional hearing date set of Thursday April 10 should they wish to contest the charges.